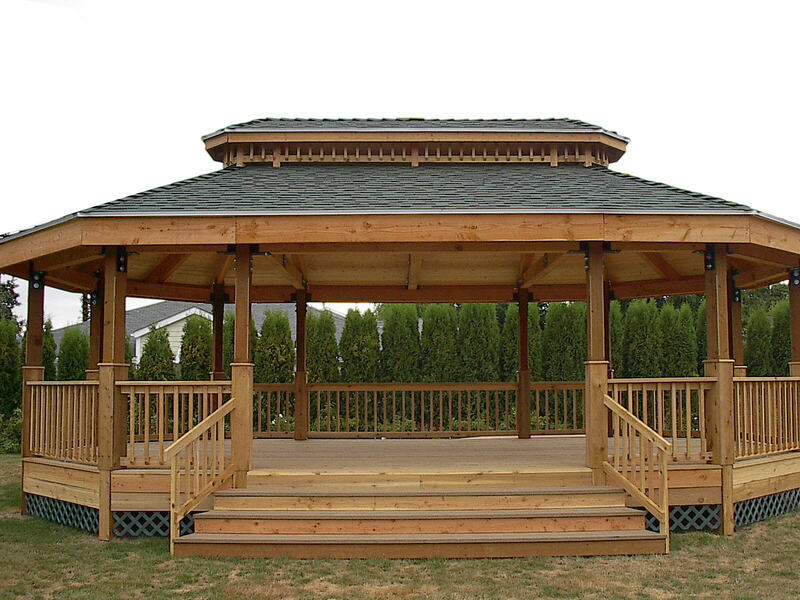 14'x16' custom built with pt 4x4s set in concrete wrapped with cedar, composition roof and 1" copper balusters 2) 7' benches and Iron Mountain slate floor. I have never seen a structure that can stand next to this one. Your Dream.......It's What We Do!